Rated for today's high-velocity 300+ FPS crossbows! Knock-down precision and Parker® quality with every release! 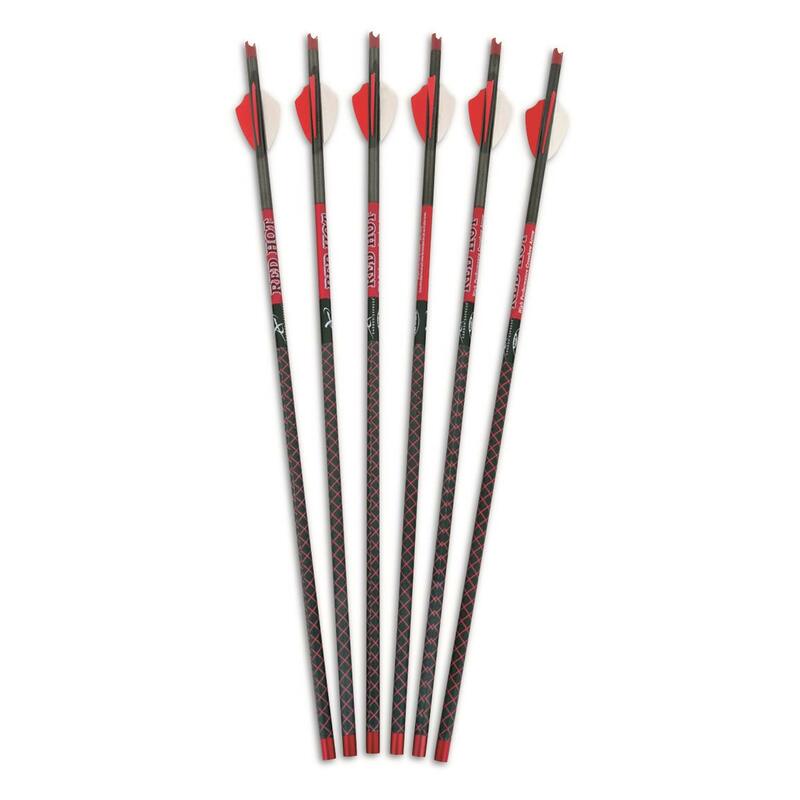 Red Hot® Crossbow Arrows are built to the tightest tolerances, and feature a weight-forward design for superior accuracy and penetration. 100% Wrapped carbon construction for extreme strength and durability. Vanes: 2.1" Fusion. 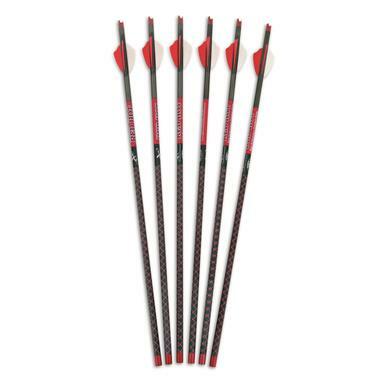 Suitable for 100 grain broadheads.